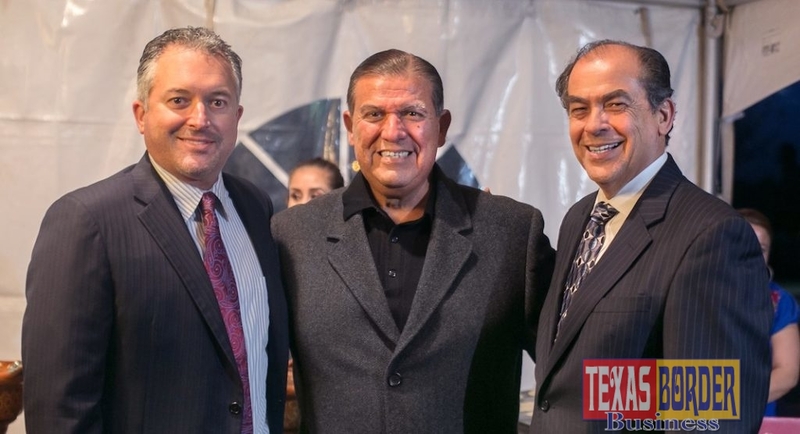 From left to right Carlos Margo, STC Associate Dean of Industry Training and Economic Development, Sen. Eddie Lucio Jr., D-Brownsville, and Mario Reyna, STC Dean of Business, Public Safety, and Technology meet during an evening event with legislators Jan. 25. Since 1975, a legislative tour organized by the RGV Partnership in Weslaco has put communities of the Valley in direct conversation with Texas legislators focusing on key regional topics. MCALLEN, TEXAS – In her address to visiting lawmakers from across the state, South Texas College President Dr. Shirley A. Reed highlighted the new STC Regional Center for Public Safety Excellence (RCPSE) as a response to the need for highly trained public safety excellence professionals along the border. Meeting with more than 70 senators and House representatives who arrived for a legislative tour from Jan. 24 to Jan. 27, Dr. Reed along with STC Director of External Affairs Wanda Garza said they emphasized that the new RCPSE is the first training center in Texas to provide a comprehensive plan to train state, local and federal officers. Dr. Reed said she appreciated the chance to speak to legislators as the 86thLegislative Session gets underway. Organized by the Rio Grande Valley Partnership, the Legislative Tour is held every two years during the legislative session, so lawmakers have a chance to engage with local communities and supporters. Since 1975, the legislative tour has put communities of the Valley in direct conversation with Texas legislators focusing on key regional topics, including education, infrastructure, transportation, healthcare, manufacturing, agriculture, and international relations. Lawmakers in attendance included Sens. Nathan Johnson, D-Dallas, Jose R. Rodriguez, D-El Paso, Juan “Chuy” Hinojosa, D-McAllen, and Eddie Lucio Jr., D-Brownsville. More than 35 Texas House representatives, Republican and Democrat, were also on the tour along with the Valley delegation which included Reps. Alex Dominguez, D-Brownsville, Eddie Lucio III, D-Brownsville, Oscar Longoria, D-Mission, Armando Martinez, D-Weslaco, Terry Canales, D-Edinburg, Bobby Guerra, D-McAllen, Sergio Munoz Jr., D-Palmview, and Ryan Guillen, D-Rio Grande City. Previous articleMayor Darling Annual State of the City Address SOLD OUT!